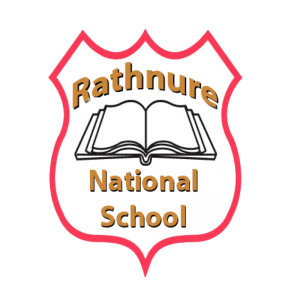 Regularly in Rathnure N.S. to achieve an equal balance of numbers in a classroom we have to split a particular class. This occurs when you have a huge number in one classroom and a small number in the classroom above/below and we have to move some pupils between classes. This occurs regularly in schools of a similar size throughout the country. Sometimes it is not as easy as splitting the class in half. It is our intention at all times to keep classes together but unfortunately this is not an option every year. We intend to split classes in a fair manner. When a class is split we form groups of equal ability and gender. This ensures that we have no ‘streaming of pupils’ which is advised by the school inspector. The present class teacher with the principal and deputy principal will form the groups of equal ability each year and we will let you know of the class formation in the final week of school before the holidays. Breaking the class into equal ability and gender provides us with the opportunity to rotate the split class if the same class has to be split again in future years. This ensures that everybody has a fair chance of proceeding with the higher class and also proceeding with the lower class if there is a repeated split. After the class has been split in equal ability groups and equal gender groups we have to decide which half goes ahead and which stays with the lower group. This will be determined by age. The older of the two groups will proceed first. In future years if the split is repeated then the groups will rotate and take their turn with the higher or lower class. Policy was reviewed and ratified by the BOM in October 2018. Policy will be reviewed again during school year 2021/22 and sooner if necessary.